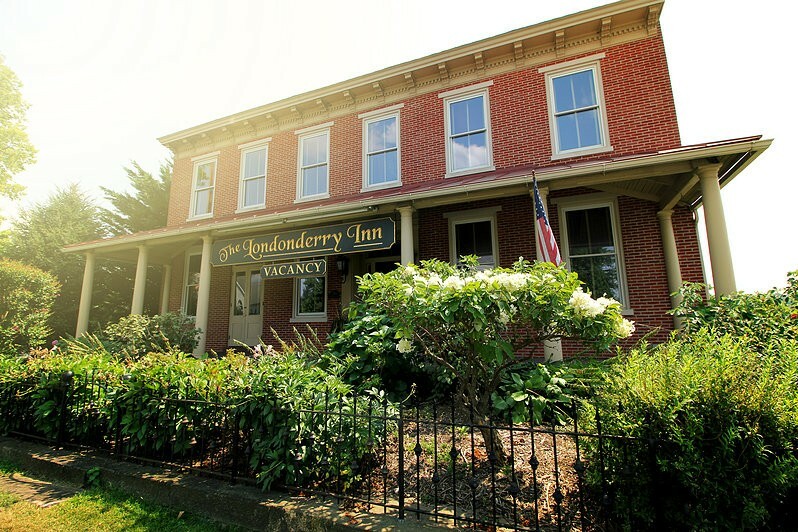 The Londonderry Inn is a triple diamond, 4 star Hershey B&B with magnificent accommodations in a beautifully restored pre-Civil War 1840’s structure. It holds six large stately rooms, private baths and a full course gourmet breakfast! Also the inn is a perfect place to book for a special event. Great care has been taken to assure an atmosphere of rest, restoration and inspiration at The Londonderry Inn. So come and discover what else makes Hershey, Pennsylvania all the more sweeter!